PVC, the typical material of typical raincoats, contains harmful chemicals such as lead, dioxin, and phthalates. Scary stuff! As parents, we wanted something safe that worked. We tried polyester raincoats but those are not really water-resistant, and are sprayed with chemicals to make them somewhat water resistant. So we decided to make our own safe and high quality rain coats! Why pay a little more for this raincoat? Simple, because you get what you pay for. These are SAFE, high-quality and fun. PEVA MATERIAL - the safe alternative to PVC. Our PEVA matieral is used in food-grade products. Waterproof and perfect for active kids. Parents will love the safe material and good quality construction; kids will love the fun animals and super smooth zipper. HEAT SEALED ZIPPER CLOSURE - The self-repairing zippers are heat sealed into the seams with overlaping weather flaps to keep extra dry. 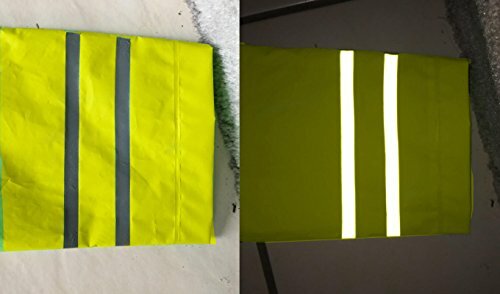 HIGH VISIBILITY REFLECTIVE SLEEVES - Sleeve accents help with night time visibility. 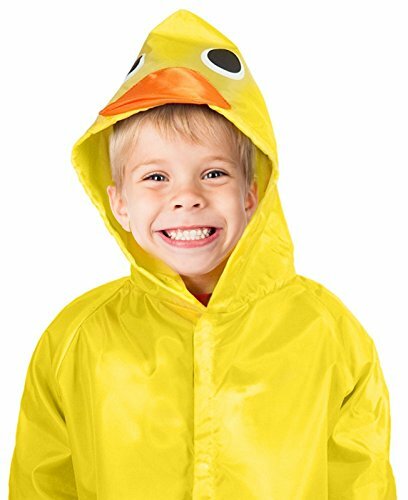 PERFECT for heavy or light rain, for school, walk in the park or just plain fun playing in the rain! Buy with confidence. We're a US company that cares about our customers, safety, and the environment. 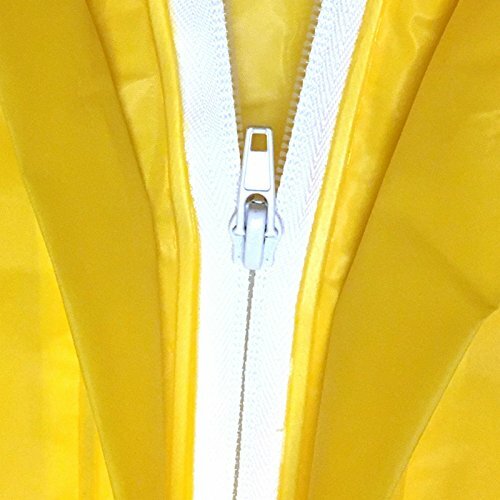 Safe PeVA MATERIAL - PVC, the typical material of most raincoats, contains harmful chemicals such as lead, dioxin, and phthalates. Scary stuff! So we decided to make our own safe and high quality rain coat for our kids. Parents love the safe material and good quality construction; kids love the fun animals and super smooth zipper. There's nothing like giving your kids safe and quality clothing. Perfect for school, hiking, camping or playing around outside. 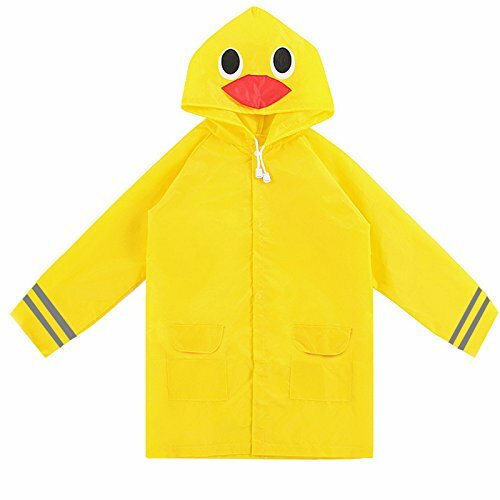 These are high-quality raincoats, safe, and fun. Perfect for heavy or light rain, for school, walk in the park or just plain fun playing in the rain! for ages 7-12. If you have any questions about this product by TRIBUTE, contact us by completing and submitting the form below. If you are looking for a specif part number, please include it with your message.